Q: Your Previous Books are more about Friendship and Love. Why did you Write an ‘Unlove Story’ this Time? Chetan Bhagat: Friendship and love are still important. However, sometimes love can go too far. One can love someone too much for instance. I felt after so many love stories, it is important to explore the other side of love – too much love, the heartbreak it sometimes causes and hence the need for all of us to learn how to unlove. I did this in the form of a fun thriller, sort of a first for me. As an author, attempting different stories is more satisfying for me personally, and that is what I have been trying to do in the last few books. One Indian girl was in a female voice, while’ The Girl in Room 105′ is a fun thriller. Q: Who Should Read ‘The Girl in Room 105’? Chetan Bhagat: I think everyone should! While there are thriller elements in the book, it is really hard to classify it in a particular genre. The book has a lot of humour, love, bromance and it also touches on the issues we see around us today. If you want a fun, easy read that engages you and yet makes you aware of life around you – you will enjoy ‘The Girl in Room 105’. In the Book, you have Written that you Heard this Story from a Co-Passenger on a Plane. How do you Decide which Stories are Worth Writing About? 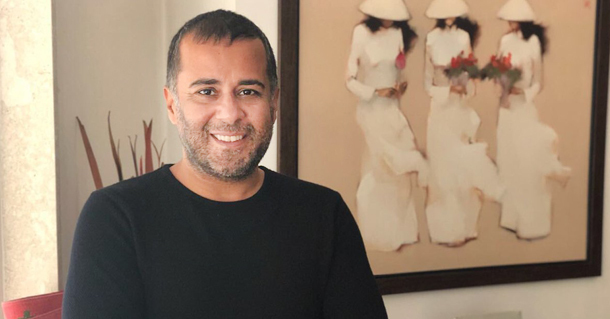 Chetan Bhagat: I meet a lot of people now, owing to the popularity of my previous books and my speaking engagements as a motivational speaker. Many people come and tell me their stories. However, only a few stay stuck in my head, and eventually develop into full books. Q: What’s your Advice for People Going Through Heartbreak? Chetan Bhagat: I think a heartbreak can lead to a serious loss in motivation and even cause depression. It is not to be taken lightly as a severe heartbreak can cause your self-esteem to plummet. I think taking a step back and figuring out who you are and what you want in life is a great exercise to do in such times. A focus on yourself, fitness and setting new important goals can help too. Time is still required for the wounds to heal though, more than anything, you need to learn how to unlove. Which is also partly why I wrote this book. Q: You have Included a Kashmir Angle in ‘The Girl in Room 105’. What Drew you to this Topic / State? Chetan Bhagat: I feel Kashmir is an important issue, but a lot of Indian youth are not fully aware of the details and/or are not interested in it. While Kashmir has come many times in movies or in news reports, existing films and TV programs tend to focus a lot on the terrorist angle there. However, what is life for ordinary people there? What do people like you and me go through over there? I thought if I can touch upon these issues by setting part of the story in Kashmir, I will do a service to the cause of creating awareness about Kashmir. I am not an expert on Kashmir, the issues are really complex and hence The Girl in Room 105 is not a Kashmir book or has a solution in that sense. But it will help you understand Kashmir a bit better perhaps, and make you feel closer to the people there hopefully. Chetan Bhagat: Haha. Yes, indeed, haven’t we all? Sometimes, you don’t even need to be drunk to make a fool of yourself. You are just so heartbroken that you just call and text and do whatever to get the other’s person’s attention. My advice: Don’t do it! Q: Successfully Writing a Book in a Different Genre – Does it Give you a Confidence Boost? Chetan Bhagat: I think so. More than anything, it keeps me engaged and lets me be in the beginner mode all the time. There’s always new things to learn when I do a different kind of book, which is more fun and challenging. It keeps you humble too as you realize how much you don’t know. It’s much better than repeating yourself doing the same thing over and over and thinking of yourself as some genius. Q: Will you Write Any more Thrillers? Chetan Bhagat: I might. Although the approach will be different. Even in this thriller, the humour aspect makes the book different from other thrillers. In other books, maybe there will be something else in the book apart from being a thriller.